Can you believe it is April already? I know, I know… that’s what I say every month. But I can barely believe that the first quarter of 2019 is already over. I started the year with an enormous to do list, and it feels like I am not getting anything done. I am getting to the point where I feel constantly stressed, desperately trying to catch up, and I have realized that I need to make some changes. This does not affect the Tuxedo Cats BOM project, no need to get worried. But I need to slow down and find some time to relax. People have begun to ask me if I am okay because I always look so tired, and I got the hint 🙂 It is supposed to be fun after all, so I will make sure to quilt less and get a little more rest. This month’s block has a cat looking back at us, and the pieces are not as small as the last couple of months. The pattern is available for free download until next month and will move to the store section when I post the May block. Ich kann kaum glauben, dass es nun schon April ist. Ich weiß, ich weiß, das sage ich jeden Monat… aber ich kann es wirklich nicht fassen, dass das erste Vierteljahr 2019 vorbei ist. Ich hatte das Jahr mit einer langen Liste von Projekten begonnen, und irgendwie habe ich immer das Gefühl, das ich nichts schaffe. Mittlerweile fühle ich mich ständig gestresst und habe immer das Gefühl, aufholen zu müssen. In der letzten Woche bin ich dann zu dem Schluss gekommen, dass ich einige Dinge ändern muss, so geht das einfach nicht weiter. Ich brauche schon aus gesundheitlichen Gründen ein bisschen mehr Entspannung, und nachdem die Leute nun schon angefangen haben zu fragen, ob es mir gut geht, weil ich immer so müde aussehe, habe auch ich endlich begriffen, dass es so nicht geht. Daher habe ich beschlossen, die deutschen Versionen meiner Muster einzustellen. Keine Sorge, die Tuxedo Cats mache ich natürlich noch fertig, und alle Muster, die auf Deutsch verfügbar sind, bleiben es auch. Aber neue Muster wird es auf Deutsch und mit metrischen Maßen nicht mehr geben. Mit dem Gedanken trage ich mich schon seit einiger Zeit, der Markt dafür ist einfach zu klein und rechtfertigt den Aufwand nicht. Auch die Post schreibe ich in Zukunft nur noch auf Englisch, es kostet einfach zuviel Zeit, alles doppelt zu schreiben. Ich bitte um Verständnis für diese Entscheidung, aber gesundheitlich halte ich das nicht länger durch. Und hier kommt nun die April-Katze, die wieder etwas größere Teile hat als die beiden letzten Muster. Wie immer bleibt sie den ganzen Monat lang frei verfügbar und wandert im Mai dann in den Shop. Thank you for the sweet pattern. I do hope you can make the necessary changes to life. I have had to do the same here. Sometimes I think we expect too much of ourselves because we look at what everyone else is doing or accomplishing. I know this is true of myself. I have had to learn to lower my standards and expectations. My health is more important than what I actually accomplish that isn’t vital. I hope you take the time and figure out what changes you need to make to make life easier for you. I know, right? Nothing I do is so important that it couldn’t wait another day. 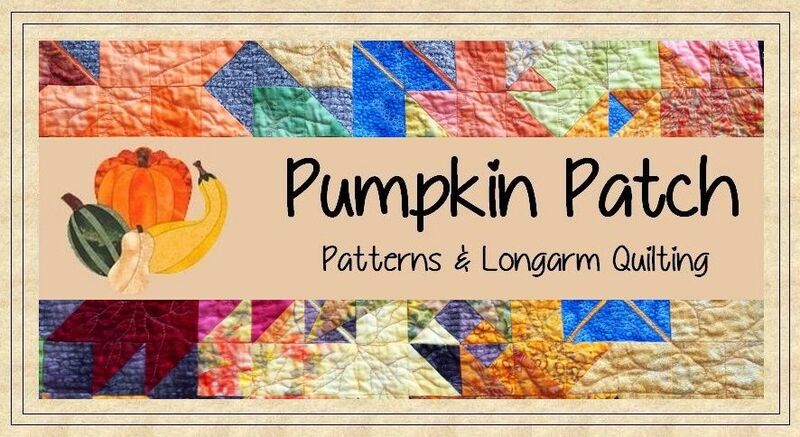 The most sensible thing I could do is focus on the longarm quilting part of my business and give up the patterns. But I actually love the pattern part much more. If I could, I would just design and write patterns all day long. I will just have to find a way to balance it all. Thank you for another lovely cat pattern. I hope you are able to take it easy and relax. Stress can have such a negative impact on our lives and health. Be good to yourself! Thank you for another great cat pattern!